Since the Italian automaker Fiat took control of the American Chrysler, it was expected that the latter present beyond his economic recovery plan, a five-year production plan, from the new synergy between these two manufacturers. That done, and this is the new boss of the group, Sergio Marchionne and his bodyguards, including Montrealais original Ralph Gilles, who just unveil this product bold plan that will ensure the survival of the manufacturer American and save Fiat investment in this very risky adventure. Broadly, we discover that this plan will develop especially if a large speed 'V', commencing in 2012 and in the meantime, we make minor readjustments for some models, on arrival very shy new models, and the creation of a new branch, which will be composed his debut as the truck Dodge RAM. 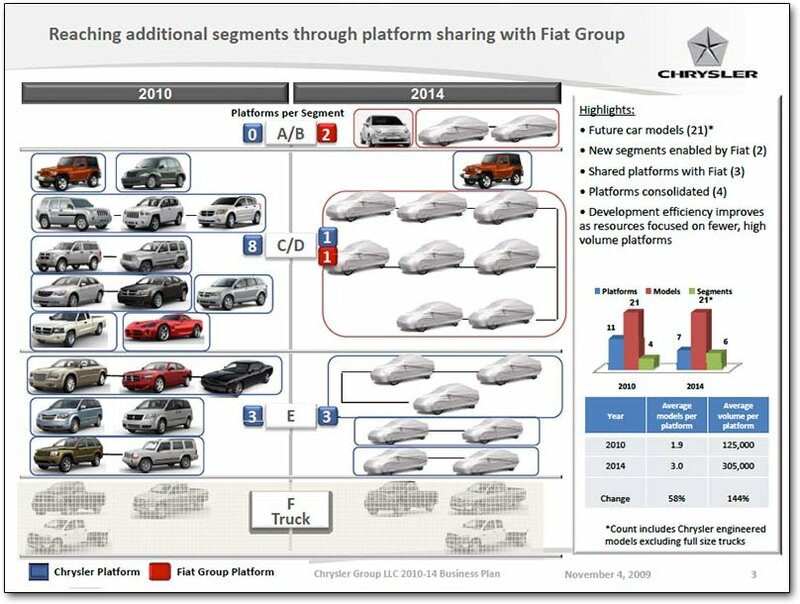 Gradually developed platforms will be used for the Fiat and Lancia brands, has a purpose to serve the production of Chrysler models. The models Chrysler will receive only slight modifications. From their side, the Dodge Avenger and Journey are refreshed, while the Charger sedan receives a serious facelift. During the year, a new vehicle for full-size crossover type will appear. At Jeep, this is the arrival of the new Grand Cherokee will monopolize the attention, while other models will offer lists of equipment more generous series. Dodge division has lost one of its members among the most important, the truck RAM, which is for the moment and alone, a new branch is added to the Chrysler, Dodge and Jeep brands. Here, we speak henceforth the 'RAM Truck Division. For 2011, we finally have the right to a new intermediate sedan completely redesigned Chrysler 300 and review, while Sebring models will redraw. Nitro and Dodge Challenger will spend at the beautician. On the side of the Jeep brand, the Wrangler model must pass a new record, while unnecessary Order will finally make his reverence. The 'Ram Truck Division' will be enhanced by a new, more compact truck, based on a passenger car platform. This will put an end to the career of Dakota truck. An all-new compact sedan based on a model of the Fiat Group, will join the Chrysler products. The latter is also available as signed version of Dodge. It will replace the Caliber, which will be withdrawn from the market after 2012. 's Seductive and lightning Viper, will remain and will undergo a major overhaul. Using Fiat platforms, the 'Ram Truck Division' will be offered commercial utility vehicles, compact and intermediate format. The range of cars Chrysler brand will be enriched by three new vehicles developed around platforms of the Italian group. On the one hand, there will be a small sub-compact luxury car, the successor model to the Sebring and a crossover compact size. It will be the same for the Dodge division, on the successor model to the Avenger and the arrival of a subcompact car. Jeep Patriot and Compass will cede their place to a single new model SUV compact type and concocts Fiat based on the Panda model. Liberty is the model saves troubled waters, but will have to undergo major changes. Very popular Chrysler Town & Country and Dodge Grand Caravan will pass to a new generation that they should be more than beneficial, to initiate a new stage or move to a new face feature a walk minivan that continues to crumble. We now know that this small city is definitely available in America and for that, it must first pass through the Mexican assembly plant before set foot in North America. 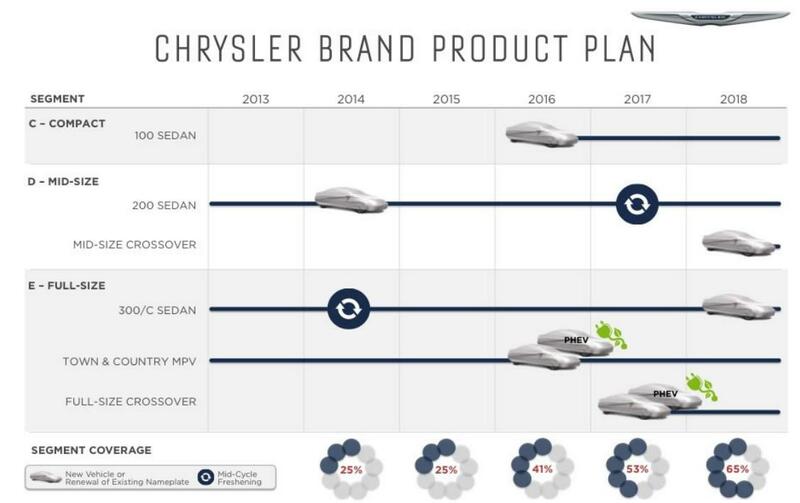 At this press conference, or was announced five-year plan the leaders of the new company Chrysler'll benefit from this opportunity to unveil the new emblem of the group. At the end of this exercise, which should be completed in 2014, Chrysler relies on realized profits could reach U.S. $ 5 billion, but provided that sales increased from 950,000 to 2 million units annually around the world. 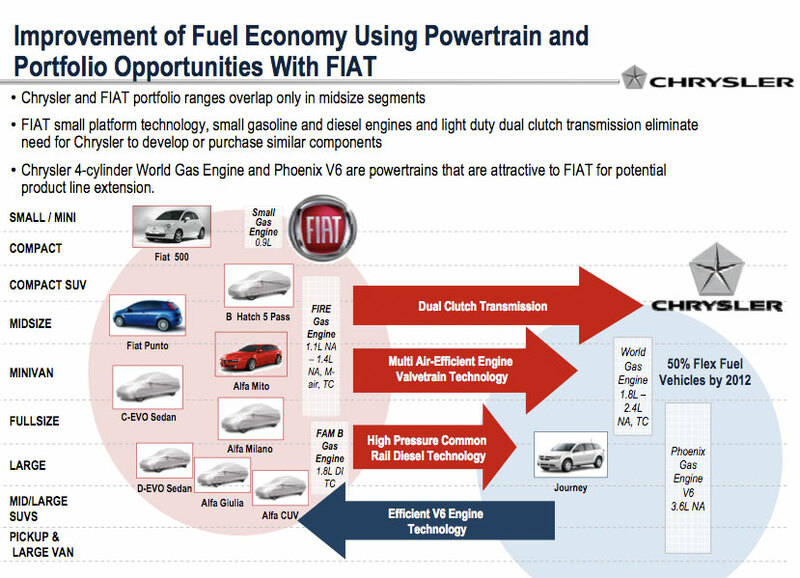 According to the plan established in 2014, 56% of Chrysler vehicles will be developed from provided by Fiat platforms. Recall that Chrysler has become profitable in 2011 and start to repay incurred, against American and Canadian governments debt.